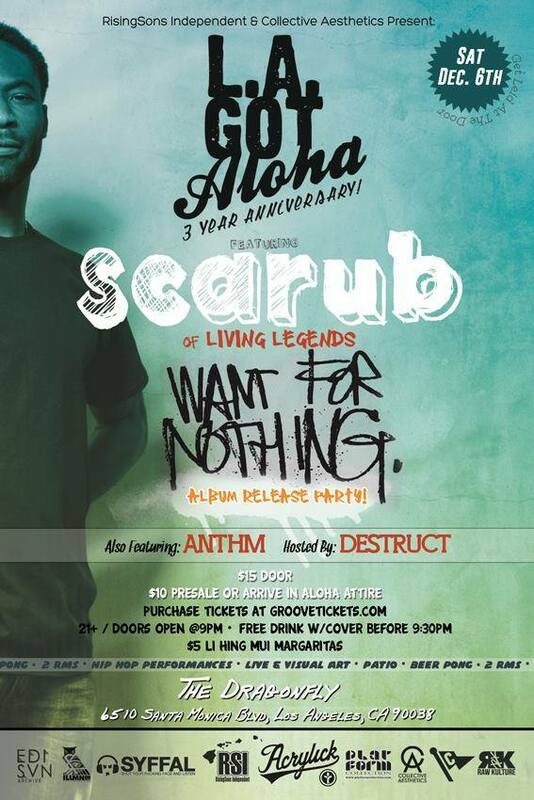 4 Years Of LA Got Aloha! Can’t believe it’s been 4 years already. Seems like we just did the Eligh show yesterday! Even though life flies by at the speed of light, we’ve definitely been savoring every single moment. From everyone that walks through the front door, the hula girls throwing leis around ya’lls necks lassoing you in, the bartenders, each performer that has hit the stage, each painter hitting the canvas with a brush, all of it! One thing is for certain, we did not get this far alone, this is our work, we did this together…. and that’s pretty damn cool. 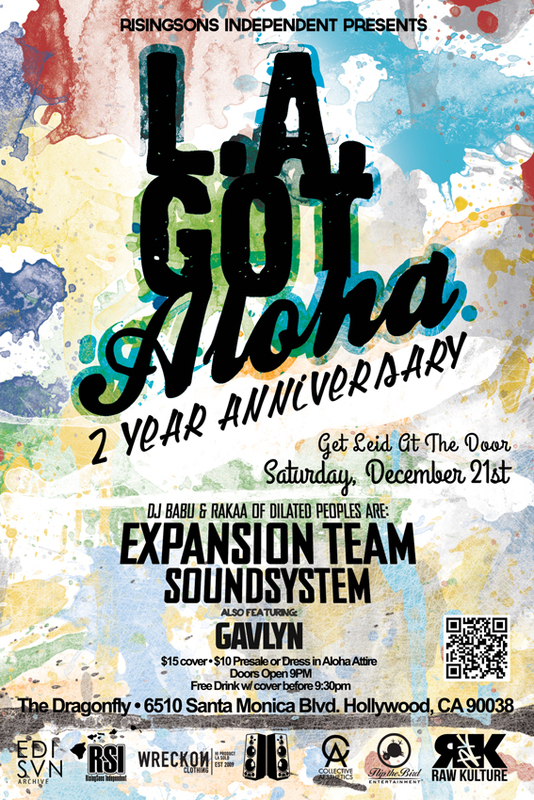 With that said, we are planning by far the largest event we’ve ever done on January 8th, 2016 celebrating our 4 year anniversary of LA Got Aloha! Care to be a part?